A brand new book, FUNDAMENTALS OF CHEMICAL ENGINEERING THERMODYNAMICS makes the abstract subject of chemical engineering thermodynamics more accessible to undergraduate students. The subject is presented through a problem-solving inductive (from specific to general) learning approach, written in a conversational and approachable manner. Suitable for either a one-semester course or two-semester sequence in the subject, this book covers thermodynamics in a complete and mathematically rigorous manner, with an emphasis on solving practical engineering problems. The approach taken stresses problem-solving, and draws from "best practice" engineering teaching strategies. 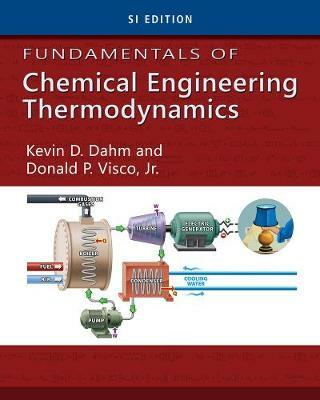 FUNDAMENTALS OF CHEMICAL ENGINEERING THERMODYNAMICS uses examples to frame the importance of the material. Each topic begins with a motivational example that is investigated in context to that topic. This framing of the material is helpful to all readers, particularly to global learners who require "big picture" insights, and hands-on learners who struggle with abstractions. Each worked example is fully annotated with sketches and comments on the thought process behind the solved problems. Common errors are presented and explained. Extensive margin notes add to the book accessibility as well as presenting opportunities for investigation. "I appreciate the contemporary content, especially examples that illustrate the importance of energy loss, energy utilization. Although not related to energy in particular, I like example 9.1. It draws on intuition, uses some thermodynamics to prove that volume additivity may not be what is expected. This allows students to have a complete understanding of the topic through mathematical proof and illustration." "I believe the text does a good job of helping the student learn to apply thermodynamics. When working through an example they do not just show the quick solution but walk the reader through the thought process needed to solve the problem. They at times, pause to introduce (remind) the reader of some mathematical principle that will aid in the solution instead of just assuming the reader already knows it. The also use marginal notes to ask conceptual questions and thoughts of the consequences of using some other route."